Hear from the experts representing each mode of transport and how the changes included in the 2019 Dangerous Goods Regulations will influence your business before they come into effect. Regulatory updates for all modes given by former regulators and industry experts. Presentations from leading lights across industry on topics such as Enforcement Protocols, Rules for Export to USA, Lithium Batteries and many more. A fantastic opportunity for networking with fellow DG professionals. Meet leading specialist suppliers to the industry and delegates from around the world. Of interest to all levels who are involved in dangerous goods: warehouse, shippers, administrators, procurement, training and DG specialists. Comprehensive and useful delegate pack. A full day of learning with refreshments throughout the day, includes lunch. A non-profit international event – accessible and affordable at £135.00 per person. ​For over 25 years Labeline International has been at the forefront of dangerous goods compliance, supplying publications, labels, documentation and software. 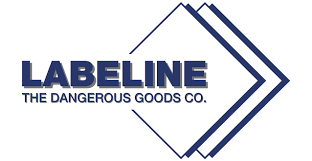 ​Worldwide, Labeline is probably the leading authorised distributor for the regulations covering the transport of dangerous goods by road (ADR in Europe), sea (IMDG), air (IATA & ICAO) and rail (RID). For the last 9 years the company has been IATA’s leading distributor of their Dangerous Goods Regulations. Labeline also publishes the CDG Exemptions Guide and is the authorised distributor for UL Safeware Quasar’s Regulatory Handbooks: REACH Regulation, REACH Annex II (with full tables), CLP, Biocidal Products Regulation and Detergents Regulation. ​If you are involved in the shipping of dangerous goods you need to have the reassurance that the labels and marks you use to show the hazards of the products that make up a shipment are correct and compliant. Labeline has an extensive stock over 2 million labels, marks and placards ready for next day delivery. Labeline’s labels comply with the latest regulations and they have the adhesion, abrasion resistance and colour retention properties to exceed the requirements of the IMDG Code. ​Labeline stocks a range of UN approved boxes. For sizes, availability and prices please contact Labeline directly. Bespoke solutions for all dangerous goods packaging requirements can also be sourced. ​DGOffice simplifies the classification process and makes the calculations to enable users to quickly produce dangerous goods documentation that always complies with current regulations worldwide. It is an on-line system and, as it is updated stealthily and in a timely manner, there is no need to download updates when the regulations change – it is all done automatically. DGOffice can also be integrated into SAP and other enterprise systems. Contact Labeline for a free two-week trial. Labeline delivers CAA accredited training courses. 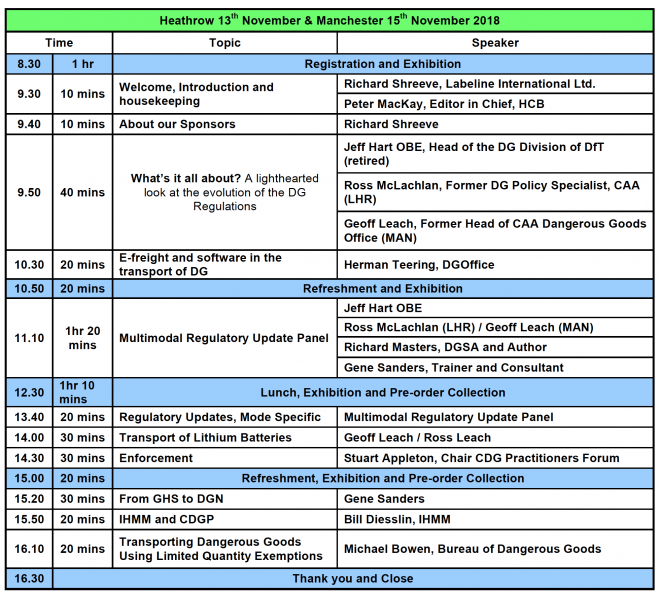 Our trainers are Geoff Leach, the former Head of the CAA’s Dangerous Goods Office and the current Chair of IATA’s Lithium Battery Workshops, and Ross McLachlan, formerly CAA’s Dangerous Goods Policy Specialist. They are, therefore, both ideally placed to not only train in the requirements but also to explain the thinking and decisions behind them. Labeline also provides a range of e-learning solutions for the DG industry. DGSA service, ad-hoc consultancy and advice on all modes of transport around the world. HCB was established in 1980 to help those involved in the transport and storage of dangerous goods to keep up to date with changing regulations. We continue to cover regulatory developments and to bring our readers news of products and services that aim to make their operations safer or more efficient. ​The magazine covers the transport of all kinds of dangerous goods, but particularly liquid chemicals, liquefied gases, explosives and radioactive materials. It covers transport by all modes: road, rail, maritime (bulk and packaged), inland waterway and air. Its coverage is also global in scope, covering not only North America and Western Europe but also the Far East, South-East Asia, Australasia, the Middle East, Africa and Latin America. HCB has full-time writers based in the US and in Poland and a network of part-time contributors in Singapore, India, Brazil, Zambia and elsewhere. 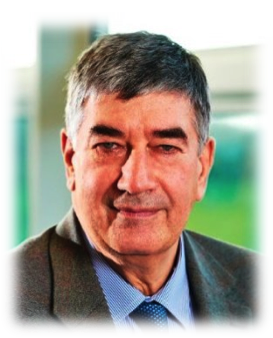 Jeff Hart retired in 2015 after 38 years public service with the UK Department for Transport (DfT) following an entirely undistinguished academic career studying history and politics! He has worked in the international arena for most of his career, firstly as part of the UK delegations to the International Maritime Organization’s (IMO) Assembly, Council, Facilitation and Technical Cooperation Committees and then with the European Civil Aviation Conference in the field of passenger fare liberalisation and cargo operations. He joined DfT’s Dangerous Goods Division in 1990 and became the Head of Division in 1996. Jeff then led the UK delegations to the UN Sub-Committee of Experts on the Transport of Dangerous Goods, the RID/ADR/ADN Joint Committee, ADR WP.15 and various other international dangerous goods meetings such as the European Union, OECD and the UN GHS Sub-Committee. With multi-modal dangerous goods transport responsibilities he was also part of the UK delegation to IMO and International Civil Aviation Organization meetings. Following 9/11 Jeff played a leading role in introducing international security provisions within the dangerous goods safety regulations. He was responsible for enacting UK national legislation for the safe transport of dangerous goods by road and rail and acted as the UK competent authority for international road and rail dangerous goods transport. Jeff was privileged to be elected as Chairman of the UN Sub-Committee of Experts on Transport of Dangerous Goods at the end of 2010 until his retirement. In the 2016 New Year honours, Jeff was awarded an OBE for services to transport. Geoff Leach joined the United Kingdom Civil Aviation Authority (CAA) in 1982, and transferred to the Dangerous Goods Office in 1990. In May 2002 he was appointed Head of the Dangerous Goods Office, also becoming the United Kingdom member of the ICAO Dangerous Goods Panel (DGP), having attended all working group and Panel meetings since 1993 in the capacity of advisor. In November 2007 he was elected Chairman of both the DGP and the Dangerous Goods European Liaison Group, an informal body of European authorities and operators. Geoff has also chaired all 6 of the IATA lithium battery workshops held to date and been an advisor to the United Kingdom expert at the United Nations Sub-Committee of Experts on the Transport of Dangerous goods by Air. In 2013, he left the CAA to form the Dangerous Goods Office Limited, Labeline International’s training partner, offering training and consultancy to industry and regulators worldwide. Educated at Rickmansworth Grammar School Richard began working life in London in advertising and marketing. A chance opportunity to try something completely different led to him accepting a job in a shipping company in Felixstowe, the first UK port to fully embrace containerisation. Richard got involved in the early days of containerisation, Ro-Ro ships, and one of the last regular UK general cargo liner services. He left Felixstowe to work as a cargo superintendent in Jeddah for Gray Mackenzie Ltd who had the contract to operate the port on behalf of the Saudi Arabian government. Returning to Felixstowe Richard worked for the rapidly expanding Port of Felixstowe where his final role was to join the company safety management team to create the port’s dangerous goods control system in compliance with the Dangerous Substances in Harbour Areas Regulations. During this period he also got involved in road, rail and sea interface safety issues and studied to obtain the Nebosh Diploma and is now a chartered member of IOSH as well as a Member of the Institute of Chartered Shipbrokers. After a long career with the port, eventually Richard left and began an association with the UK P&I Club, for whom he wrote the IMDG Code guidance books “Book it Right and Pack it Tight,” which has recently been translated into Chinese. During his association with the UK P&I Club, Richard also carried out dangerous goods training for them in Germany, China, Korea and Singapore, as well as in the UK. For the last 6 years Richard has been based in the UK headquarters of the Mediterranean Shipping Company (UK) Ltd, where he is the health & safety manager and DGSA for with responsibilities for operational dangerous goods and container operations risk management within the UK. Gene has been consulting and training in the field of Dangerous Goods for most of the 20 years that he has worked in the industry. With degrees in Biochemistry, Chemistry and a “minor” in Microbiology, he has a good understanding of the chemistry behind the regulations for both supply and transport. Gene is also the regular “From the Porch Swing” columnist in HCB magazine. Stuart joined Cambridgeshire Police 15 years ago after service in the Royal Air Force Police. 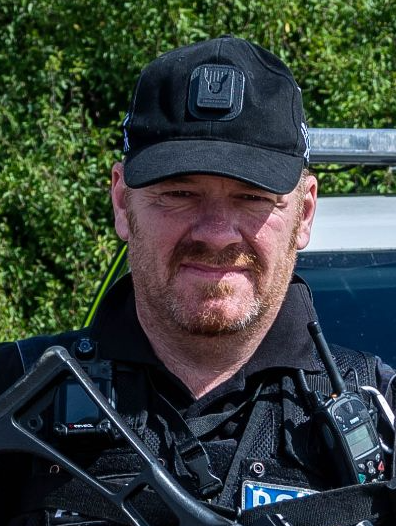 He has been a Roads Policing Officer for 11 years, specialising in the Carriage of Dangerous Goods after training to be an Inspector with EDI qualifications in 2013. Shortly afterwards, Stuart qualified as a Dangerous Goods Safety Advisor and has remained qualified since. When Cambridgeshire, Bedfordshire and Hertfordshire Police collaborated in 2014 Stuart became the DGSA for three forces. He was appointed as Secretary of the Carriage of Dangerous Goods Practitioners Forum in 2016, and subsequently became Chairman. This organisation is prescribed in the CDG manual and comprises of all UK Police Forces, DFT, HSE, ONR, DVSA and other enforcement bodies. 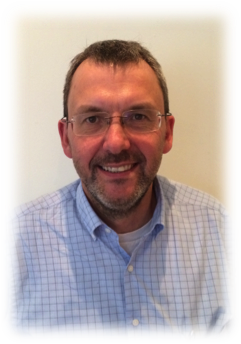 Stuart has responsibility for all UK enforcement operations, UK Dangerous Goods Intelligence and as an advisory role to Industry and representing UK Police in European Meetings. 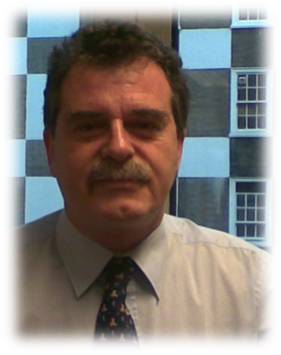 He is a member of the Training Advisory Panel, DFT Compliance Committee and UK LNG Steering group. These Duties are carried out whilst still a full time front line armed Police Officer as well as training Police Officers in Enforcement and Prohibition. Herman Teering was born in the Netherlands in 1968. During his time in the Dutch Army he worked for 5 years as a logistics coordinator for Explosives and Fuel distribution and 5 years as expert on International movement of equipment, ordnance and personnel. In the years that followed he held senior management positions within the international DGM network. 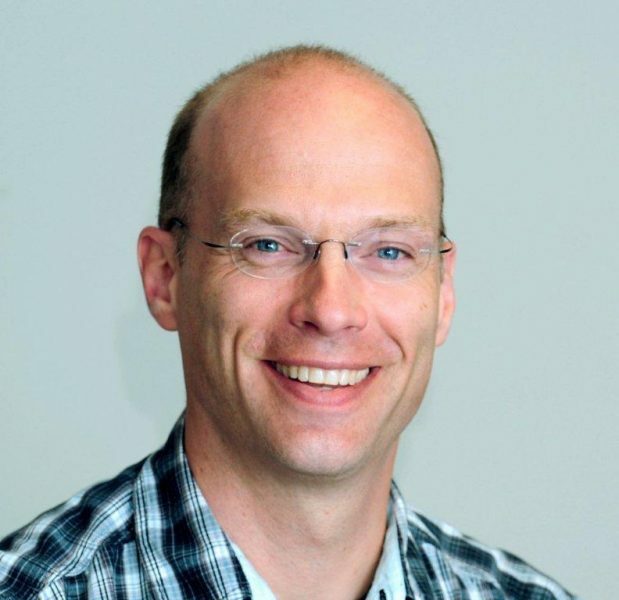 In 2003 Herman became Managing Director of DGOffice, an IT company that specialises in databases, tools and solutions for all modes of transport, production, storage, handling and waste of Dangerous Goods. Herman is married to Pauline and has one son. William “Bill” Diesslin is the Associate Director within the Department of Environmental Health and Safety at Iowa State University (ISU). He has thirty years of experience managing health and safety in higher learning. In addition to his role at ISU, Mr. Diesslin consults with educational institutions and industry throughout the United States, Canada, the Caribbean and Middle East. Mr. Diesslin has a B.S. in Life Sciences from Winona State University and a M.S. in Environmental Engineering from Iowa State University. 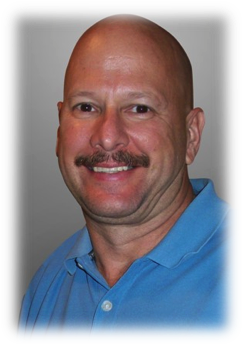 He is a Certified Hazardous Materials Manager (CHMM), Certified Safety Professional (CSP) and has earned an Associate in Risk Management (ARM). He is a member of the Board of Directors for the Institute of Hazardous Materials Management (IHMM), served on the Coordinating Committee for the Environmental Protection Agency (EPA) Sectors Strategy Initiative, and chaired the government relations committee for the Campus Safety Health and Environmental Management Association (CSHEMA). Caroline is DGSA and she sits on a number of UK and international committees including several UK working groups concerning the Transport of Dangerous Goods. In addition to being a founder member of the British Association of Dangerous Goods Professionals (BADGP), of which she is the Chairman. 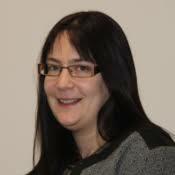 Caroline is also a member of the council for the Chemical Hazards Communication Society (CHCS). She holds a Postgraduate Certificate in REACH Management and The NEBOSH General Certificate and diploma. 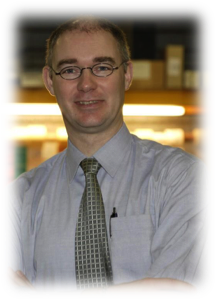 Peter Mackay is editor-in-chief of Hazardous Cargo Bulletin (HCB), a monthly magazine covering the transport, storage and handling of dangerous goods worldwide. 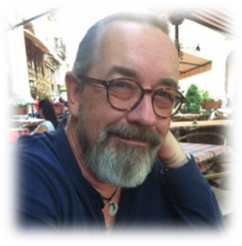 He has been involved in the industry for more than 30 years as a consultant, analyst and commentator and is a regular speaker at industry events. HCB is now in its 39th year of publication and has built up a considerable reputation as the leading worldwide publication in its field, having a particular focus on the regulations governing the transport and storage of chemicals and other dangerous goods by all modes. Peter is past chairman of the Dangerous Goods Trainers Association (DGTA), which has developed a certification system to act as a quality assurance model for training personnel. He is these days in great demand as a speaker and chair at industry events around the globe. Exis Technologies is the leading global supplier of systems for the management of dangerous goods in sea transport. For 30 years major container shipping lines, ports and shippers have been relying on Hazcheck Systems from Exis for regulatory compliance, efficiency and safety in their global operations. IMDG Code training is mandatory for all shore side staff involved in dangerous goods transport. To meet this challenge, Exis Technologies, with the support of industry bodies, developed IMDG Code e-learning. The cost-effective solution has been implemented by half of the top 20 container lines as well as shippers and logistics operations worldwide. To address special cargoes and training for all aspects of CTU packing, Exis has recently added CTU training modules to their e-learning programmes. See Labeline web site. Ambipar Group has acquired Braemar Response. Ambipar Response in the UK is an industry leader in land and marine oil and chemical incident response. The company has an involvement and influence in numerous international steering groups and professional development forums. Ambipar operates six response bases in the UK (Milford Haven, Bristol, Stansted, Dundee Barnsley and Belfast) and has three offices supporting operations. Each of the bases has an independent response capability allowing rapid, direct deployment to incidents on a ‘nearest the scene’ basis. The company can be contacted in an emergency 24/7/365 via a UK call centre which records all calls received ensuring that they can be actioned and prioritised. DGOffice simplifies the classification process and makes the calculations to enable users to quickly produce dangerous goods documentation. As it is updated stealthily, and in a timely manner, there is no need to download updates when the regulations change – it is all done automatically. Your documents will always comply with the current DG regulations around the world. DGOffice can link to external data sources and can be integrated into SAP and other enterprise systems. Once logged in, users have immediate access to product specific dangerous goods information for all modes of transport. This includes Vehicle Placarding, Special Provisions, Segregation, Limited Quantity etc. From here, it is a straightforward step-by-step process to generate your dangerous goods documents. All the relevant boxes that need populating are highlighted and, by utilising the “Own Articles” module, the data for repeat orders can be rapidly pre-loaded. Document Archive. Where you can keep all the transport documents that you generate filed within DGOffice. Own Articles. This holds data on the consignments previously raised so you can readily access product information from your portfolio to populate a new DGN. Address Labels. To print the package label containing UN Number, Proper Shipping Name and addresses for the Shipper and Consignee. Statistics. Keeps all the data relating to your shipments – helpful for your DGSA’s report. For air shippers, there are modules for NOTOC (notification to captain) and NOTOC Acceptance. The new SEVESO calculation module to help sites to comply with the requirements of SEVESO III. On the DGOffice login page there is a tab to download a Quick Guide and a help button on most of the pages. See Labeline web site. For over 35 years, Air Sea Containers has specialised in the manufacturing and supply of UN approved packaging for transporting dangerous goods for air, road and sea. Operating from our HQ on Merseyside and with operations around the world, Air Sea has an extensive range of over 700 different packaging materials. These include inner, single and combination options, covering everything from stainless steel drums to 4G boxes, 4GV boxes & plywood boxes, as well as specialist packagings for substances requiring thermal control, infectious substances and lithium batteries. Our extensive range of dangerous goods packaging and accessories, including vermiculite, are available off the shelf for next day delivery – and with no minimum order requirements. 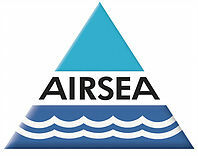 Alongside our extensive packaging range, Air Sea offers advice and guidance on all aspects of dangerous goods shipping; from helping shippers understand regulations to identifying suitable compliant packaging. BADGP came into existence following a meeting, convened by the late Desmond Waight in June 2010, to discuss the formation of an association for dangerous goods professionals to help improve their skills and provide a channel through which could approach the authorities. BADGP aims to support professionals who work in the business of transporting dangerous goods; in whatever mode of transport: road, rail, air and sea. We are a growing, non-profit, Great Britain based membership association but are also very pleased to welcome members from overseas. As of the beginning of 2016, as well as those throughout Great Britain, we have members based in Cyprus, Ireland, Israel and Portugal. Our members work in an extremely diverse array of companies in many different sectors of industry, but all with a professional interest in the transport of dangerous goods and a keen desire to keep up to date with legislation and best practice and be part of the professional community that BADGP exists to provide. Social Media: we run Twitter and Facebook pages as well as our LinkedIn discussion forum. The safety of many depends on the strength of the supply chain. Dangerous Goods surround us everyday, everywhere. Be a strong link, and apply the IATA Dangerous Goods Regulations. The IATA DGR is THE trusted source to help you prepare and document dangerous shipments. Recognized by the world’s airlines for almost 60 years, the DGR is the most complete, up-to-date, and user-friendly reference in the industry. So next time you prepare, process, accept or handle a dangerous goods shipment, please STOP, THINK, CHECK…. and ensure you have applied the IATA DGR. For all IATA publications relating to dangerous goods, visit the Labeline web site. 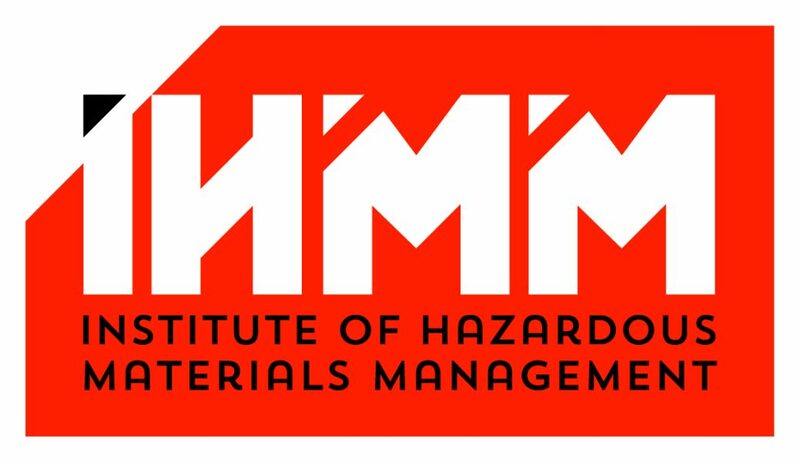 IHMM is the Institute of Hazardous Materials Management, a USA-based non-profit, non-governmental organisation that provides a range of exams and qualifications for the dangerous goods industry. These include the Certified Dangerous Goods Professional credential which is the global gold standard for multimodal expertise in hazardous materials and the transport of dangerous goods. The CDGP is awarded by IHMM to individuals who meet eligibility requirements and pass a rigorous written examination. Labeline is the IHMM’s Educational Affiliate in Europe. Today’s global market is complex and businesses are inundated with rapidly changing demands. Varying legislation, corporate policies and buyer preferences present significant challenges to product development and profitability. Companies around the world partner with UL to strengthen their supply chains and develop safe, innovative products. Our solutions for R&D, Chemical Data Management, EHS, Supply Chain Management and Product Promotion are backed by world-class expertise. Engage UL to help you innovate, comply and promote with intelligence. Unisto manufacturers and supplies innovative and highly effective security seal solutions tailored to the needs of industry. Tamper evident security seals in thermoplastic, metal or a combination of different materials that raise their tamper resistant properties. From multi-purpose pull tight security seals, fixed length ,push-fit, padlock or high barrier bolt and cable seals, applied to prevent any opportunistic access. Unisto also supplies ancillary equipment and accessories including a bolt and cable seal safety cutter kit for the quick and safe removal of all types of barrier seal. Established in 1973, NCEC was set up by the UK Government to provide emergency response support to the emergency services for incidents involving hazardous chemicals. Over the past 40 years we have developed an in-depth knowledge of the global chemical marketplace and now provide emergency response advice to over 550 organisations across the world. Our knowledge and expertise places us in a unique position to support our customers manage chemical and wider business risk – from emergency response to supply and transport regulations. We have a global understanding of issues relating to chemical safety and legislation and are able to help clients understand and manage their regulatory obligations, providing bespoke advice and guidance on specific regulatory matters and how best to comply. We do not only specialise in chemical emergency response and chemical supply and transport regulations, but also have a broad range of crisis management services to help our customers deal with all types of incidents. Vision Techniques is one of the UK’s leading, and award winning, vehicle safety companies with 30 years of expertise and innovations. We are experts in developing, installing and delivering vehicle safety equipment to multiple industries. We have safety products to cover vans, HGV’s, Trucks, Lorries, buses and coaches, which aid with manoeuvring safely, cameras and recording systems, anti-theft or eradicating rollaways and reversing accidents. There’s a range of hi-tech products available, including vehicle CCTV camera systems, radar sensors, radar alarms, reversing camera systems, vehicle operator and crew communication systems and fleet tracking systems. Vision Techniques’ high quality safety and prevention products help prevent accidents, save you money and motivate best driver practice, bringing you peace of mind and the ultimate protection to your vehicles, staff and brand. Known in the industry we work with companies such as G4S, FloGas, Kier, The post Office and Biffa. The Sheraton Skyline is conveniently located just a stone’s throw from Heathrow Airport and 17 miles from Central London. We are happy to announce that we have secured a preferential room rate of £158.50 p/night for the Sheraton Skyline Hotel. This rate is valid for the nights before and after the event and can be booked directly with the hotel. Car Parking charges: £8 for the day settled by individual guests on departure. Take M4 to Junction 4 and follow the road to Heathrow. Prior to the airport tunnel, take the road to the left, A4 Central London. The hotel is 0.25 miles on the left hand side. Take M25 to the M4, Junction 15. Come off at Junction 4 and follow the road to Heathrow. Tickets can be obtained from the self service ticket machines at the terminal. Bear right onto Thurloe Place – A4. Entering South Kensington continue forward onto the A4. Entering Hammersmith continue forward onto Great West Road – A4. The Radisson Blu is just a short walk from the airport terminal via the Skylink. Some areas overlook the runway. Manchester City Centre is just 10 miles away. Room rate at the Radisson Blu is £167.00. Hilton, Outwood Lane, Manchester, M90 4WP, – TEL: +44 (0)161 435 3000. ½ mile walk. Clayton Hotel, Outwood Ln, Ringway M90 4HL – TEL: 0161 498 0333. ½ mile walk. Crowne Plaza, Ringway Road, M90 3NS – TEL: 0871 942 9055. ½ mile walk. Premier Inn, Runger Lane South, M90 5DL – TEL: 0871 527 8726 Approx 2 miles away. Premier Inn, Runger Lane North, M90 5DL. – TEL: 0871 527 8730 Approx 2 miles away. Etrop Grange Hotel, Thorley Lane, M90 4EG – TEL: 0161 499 0500. Approx 1 mile away. • £9.00 per car/per day (conference guests only) – Please note: Parking tickets are not issued. Parking is paid for at Business Centre Reception (Level 1) where Car Registration details must be given. • £15.00 per car/per overnight (conference guests only) – Please note: Parking tickets are not issued. Parking is paid for at Hotel Reception (Level 3) where Car Registration details must be given. Exit the M60 at junction 4 onto the M56 sign-posted Manchester Airport. Exit the M56 at junction 6 and follow signs for the airport to reach the Radisson Blu Hotel and parking facilities. Take the M6 to junction 20 and then follow the M56, exiting at junction 6. Follow signs for the airport to reach this accommodation from the south.